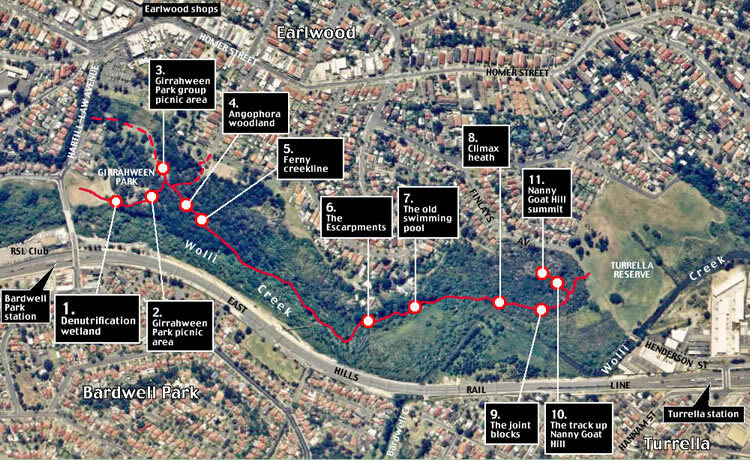 Click anywhere on the map to open a larger version and begin a virtual walk through the Wolli Creek bushland and to see the many highlights from Girrahween Park to Nanny Goat Hill.The actual walk takes at least 45 minutes with stops to take in the views. If you don’t feel like walking back you can always take the train! Wear sensible shoes and a hat and take water and binoculars.